“Because I’m Happy! !” Oh. Hi there. You just caught me singing my favorite tune that was named after me! 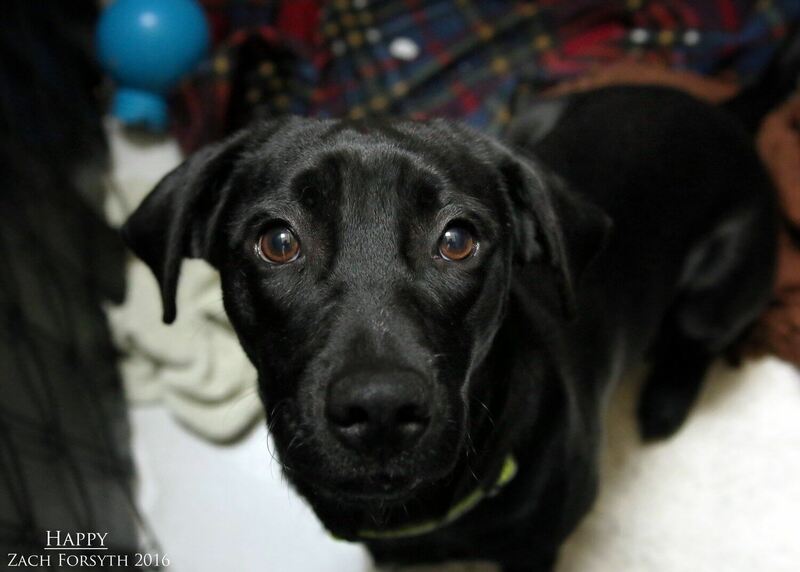 My name is Happy and I am an utterly adorable 6 month old lab mix weighing in at 25lbs. I am a short stack pup, meaning I have got short legs and a big lab body. It is oh so adorable! I am new to the big city and well, life in general. But as my name implies, I am happy and ready to learn all there is about the world. Can you teach me? PUPPY CLASSES ARE MANDATORY FOR MY ADOPTION! I am fun and energetic and enjoy meeting new puppy pals, cats, and human over the age of 12! Do you know what happiness brings to you? It’s me! So fill out an application and we can set up a meet! I come to you spayed, vaccinated, and micro-chipped with an adoption fee of $300.